PALO ALTO, Calif., Sept. 29, 2016 /PRNewswire/ — Early-stage venture firm Amino Capital Management Company, LLC (“Amino Capital”) today announced the final close of its $50 million second fund, zPark Capital II, L.P.(DBA. Amino Capital, the “Fund”) and Dr. Huican Zhu’s joining the Fund as a general partner. Amino Capital focuses on artificial intelligence (AI), data-driven ventures. With the addition of Dr. Zhu, the pioneer of Google image search and Asian language search, the Fund will reinforce that investment focus. Amino Capital, formerly zPark Venture, started its first fund in 2012 focusing on seed and pre-A round, and invested in 39 startups. The notable exits of Amino Capital’s debut fund since 2014 include Orbeus, the computer vision algorithm maker (acquired by Amazon in 2015), Assemblage, providing tools and infrastructure to enable browser collaboration (acquired by Cisco in 2014), and Contastic, offering natural language-based predictive sales tools (acquired by SugarCRM in 2016). Amino Capital’s $50M second fund expands investments to include not only seed-stage ventures but also Series A and B startups. The firm mostly invests consecutively from writing a startup’s first check to Series B by investing in companies that make businesses work better. Headquartered in Silicon Valley, Amino Capital, formerly zPark Venture, is an early-stage venture capital firm. The firm focuses its investments in seed-stage and Series A and B startups on artificial intelligence, big data and domain expertise. Its portfolio companies and other details can be found at www.aminocapital.com. Founded in 2012 by a group of entrepreneurs and technology business executives, Amino Capital has evolved from a Palo Alto-based seed-stage fund into a global early-stage venture capital firm. Larry Li is a founding partner of Amino Capital, formerly zPark Venture. He has led investments in Assemblage, Orbeus, Skycatch, and Trustlook among others. He serves on the board of Darma, Yttro, CandyHouse, Skuchain, and has invested in Human Longevity, Skycatch, Ozlo, Paperspace, Webflow among others. Larry started his technical career as software programmer, system administrator, engineering manager and operation director at GTE Data service (acquired by Verizon later). He co-founded and was CEO of Cauldron Technologies Inc. He was a founding contributor at Tsinghua 100 Education Fund and a founding partner at TEEC Angel Fund. Larry got his B.E. degree in automation from Tsinghua University, and master’s degree in electronic engineering from University of Florida. He holds U.S. patents in data processing. Dr. Jun Wu is a founding partner at Amino Capital. He joined Google in 2002 as a senior expert and major contributor at Google Search Engine in Asian languages, and later as a pioneer of internet search anti-fraud. He also served as vice president atTencent from 2010–2012, and as an advisor of China’s Industry and Information Ministry. He got his Ph.D. degree at Johns Hopkins University, where he currently sits on the board of the Whiting School of Engineering. Dr. Wu holds more than 10 patents, and is the author of six popular, best-selling books, including Silicon Valley, The Road of a University, On Top of Tides,The Beauty of Mathematics, Civilization and Smart Times. Dr. Wu sits on the board of Citic Press Corporation. For more than a decade, he has invested in and worked closely with the teams at Focused Photoncis, Human Longevity, Skycatch, Trustlook, and Orbeus among others. 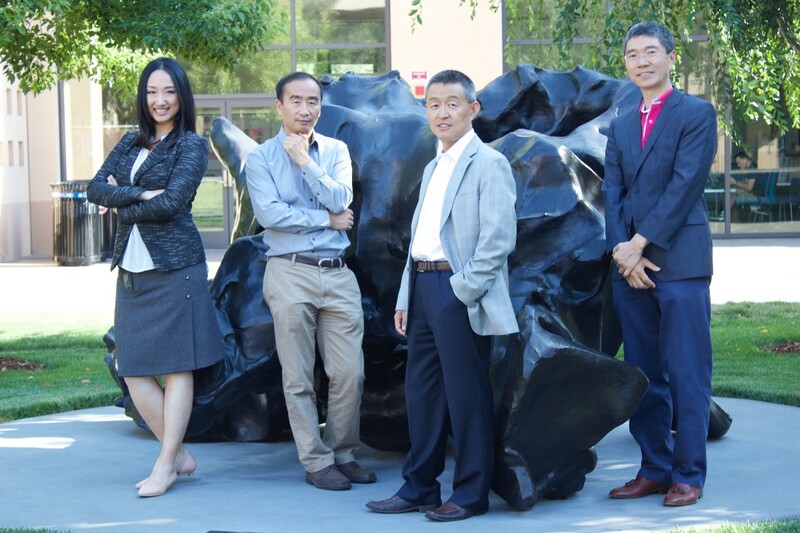 Dr. Sue Xu is a founding partner at Amino Capital. Dr. Xu sits on the board of directors of YONO Health, and was interim CEO of CandyHouse and CFLD Silicon Valley Innovation Center. Since 2012, she has been involved with more than 80 investments, such as Assemblage (acquired by Cisco), Orbeus (acquired by Amazon), Skycatch, and currently providing advisory to a number of fast growing portfolio startups, such as Skuchain, String, Yttro, and others. Dr. Xu began her early-stage entrepreneurship when she was the founding scientist of GlycoMira (also involved in undergraduate and Ph.D. laboratory spin-offs). She has three patents and more than 20 journal publications, and was a post-doc fellow at Stanford University. Dr. Huican Zhu is a founding partner at Amino Capital. He leads investment, directs on the board, consults, and provides guidance for technology startups, such as AppFolio, Papaya Mobile, MaxFun, Virtulus, Evertoon, Yiqixie, and Weee. He joined Google in 2000, and led Google image search and Asian language search and has received compliments for his computer vision research capability. He also served as the chief architect and general manager of Infrastructure at Tencent. Dr. Zhu is an expert in digital image and video search AI, cloud computing, and distributed computing. He received a B.E. degree at Sun Yat-sen University, an M.S. degree at the Chinese National Academy of Sciences, and a Ph.D. degree at the University of California, Santa Barbara. His scientific research results have over 12,000 citations.